My journey to the UK started in the north-west of the country where I lived in Lancaster and then in Manchester, briefly, rather than much-loved and praised London, an urban maelstrom difficult to escape. 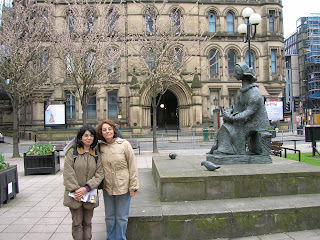 For me, at first Manchester was a no-go city without any attractions and colours. However, by attending several academic events in Manchester, I started to wander its streets and discover its multiple histories and identities. Manchester’s identity has been shaped by political activism, particularly women and working class movements during the 19th and early 20th century. It is regarded as the Capital of the North, which demonstrates its economic, social and cultural importance for the region. It is also called Madchester, as a result of its rich history of alternative music, while it is also a centre of classical and contemporary arts which hosts venues like Manchester Art Gallery, the Lowry, and the Whitworth Art Gallery. Despite its well-known artistic hubs, Manchester reminds me of a man, a working-class man. Its architecture and plan also strengthen this identity: it has only one centre and consists of rigid structures, red-brick terraced houses, old mills all distributed in grid-like streets. In addition, various examples of mock Gothic architecture such as churches and public buildings provide a darker atmosphere to the city. Pubs are also an important part of this masculine identity. Pubs smell of smoke and oak, and are dark. Usually they are crowded with men who drink, chat and watch football games, which made me feel lonely in crowd. The best times for me to visit a pub were the live music evenings, so that I could get lost in the crowd as a music fan, instead of a foreign woman who did not know what to do. In order to experience this culture, you should visit a local pub, instead of many located in the city centre, manicured for tourists. Relatedly, Manchester is a football city where the clubs Manchester United and Manchester City come from. During derby days, you cannot see many people in the streets as they flock into pubs to watch the games. For me, Manchester’s centre is the Piccadilly Gardens, which hardly looks like a garden. Rather and ironically, it is a square made of concrete and walls. Here you can see how diverse the people of Manchester are, which contrasts with the solidity of concrete: students, blue and white collar workers, street vendors, tourists, football fans, artists, the homeless and activists - they look like flowers in a pot. Here you can also smell and listen to Manchester: the smell of food, vomit, perfumes, pubs and coffee all mingle in air with the noise of tram, cars, buses, music and talk. Turn left and go ahead, then you are in the St. Peter’s Square which once hosted the Peace Gardens and a sculpture, dedicated to peace and a nuclear-free Manchester (Barbara Pearson’s Messenger of Peace, a woman made of bronze, who fed birds among trees). I was thinking that its femininity creates contrast with the masculine character of Manchester. In 2014, the Peace Gardens were removed and the sculpture was replaced by the Cenotaph, a memorial dedicated to those who lost their lives during the First World War. The Cenotaph is a sculpture that looks like a lonely man standing in the middle of concrete. Manchester has more to offer than the attractions in its centre. However, in order to see its ‘more’, someone should look below its surface. For this, the Edge is a surprising place, located in the south of city, the beautiful and rich village of Alderley Edge, inhabited by famous football players and businessmen. The Edge, a sandstone escarpment, is a National Trust site and was a mine where copper had been excavated since the Bronze Age until the 19th century. However, it also hosts ghosts of the past and is regarded as a haunted site. According to local legend, it is believed that a group of warriors and their horses sleep in the Edge inside a cave and when they are needed during a war they will wake up to save the country. Whoever wants to discover the mysterious side of Manchester, should visit the Edge and feel its dark atmosphere which blurs the boundaries between physical and surreal. But I warn, if you see a ghost, don’t be afraid of it. Get lost in this city with many identities and histories, some above its surface, some below it. I am an independent urban sociologist from Istanbul, Turkey. I have a PhD degree in Sociology from Lancaster University, UK, for research in “An Exploration of Two Gated Communities in Istanbul, Turkey” (2010). I am interested in any aspect of cities particularly cultural reading of cities, urban heritage and the relation between city and identity. I published various pieces and articles in blogs, websites and peer-reviewed journals. 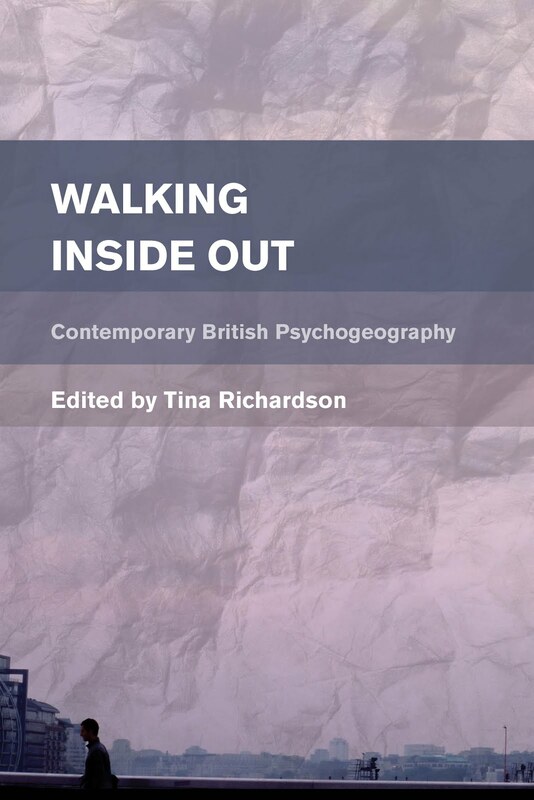 I have also a particular interest in Manchester and the North West of England, since I lived in Lancaster and Manchester for seven years (2004-2012) as a PhD researcher.